Could Battlefield make a American Civil War game based on Major Naval Battles, Major Land Events? Why Cant Battlefield get these ideas, why cant people SPEW out these ideas. so we could compete with World War 1, World War 2 Historical Games? make a game THATS DEFINITLEY HISTORICAL and intense that would maneuver peoples attention to more dire time situations? well if you think about the Civil war also had beach invasions, horses and city destruction! how can that be boring? it would be ten times unique to battlefield 1 and 5 because we'd be showing everybody events that were similar to D-day and many other events around the world in 1915. but in america? 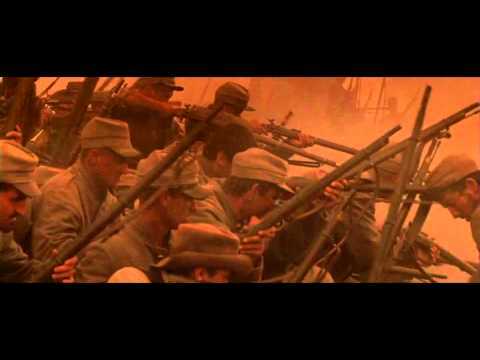 here are some links of movie clips of many various civil war events that would arouse you into convincing EA to developing this game. Because like BF1 weapon choices would be limited, even more so. There just would not be a lot of stuff to make content out of. It would never happen in the battlefield series. There are a few civil war games out there, go play one of them. look at mount and blade: Warband napoleonic wars; "War of Rights", and "Holdfast" OP. As interesting as it would be for DICE to do what you're talking about, I don't think we'd see anything like it unless servers were made moddable again. It would be catered to a very specific type of player. Hell even WW1 was risky for dice, and backfired in some sense regarding content. Their investors would have a heart attack if it was even seriously suggested. it was risky certainly but I think part of the reason it kind of backfired was DICE took that initial risk and then refused to take any more afterwards when it came to the more meat-and-potatoes of the design... I mean they were in the "unsweet spot" or "reverse goldylocks zone" when it came to potential.. Anyway OP should really read up on the Spanish Civil War and the Iran-Iraq War... I mean those had plenty of stuff that could be used for "content", and would probably fit the mix-mashed nature of recent battlefield games. Present the scopes and automatics of the time and we're go for alternative take 3. I would rather DICE make it's own game and leave history alone that way they can put in all the genders, non genders and people who identify as cup cakes all they want and no one can complain. what about a war on terrorism battlefield? Because lack of automatic weapons. Take bf1 for example. There are as many semi auto and bolt actions guns in the game, but full autos pretty much dominate the kill feed. Even in a WWI setting, where full autos were really rare, in game its quite the opposite. I have a hard time believing the community would be happy with a game filled with muzzle loaders, lever actions, and a few revolvers. I've had a rough concept for a Battlefield-style American Civil War game floating around for a few years now. Much like Battlefield 1, it would feature common and uncommon weaponry of the time. Muzzle-loading rifles and muskets are obviously there, but so is a fairly large variety of breech-loading rifles and repeating rifles. A great variety of handguns are also present, and thus I have 50+ weapons in my concept. 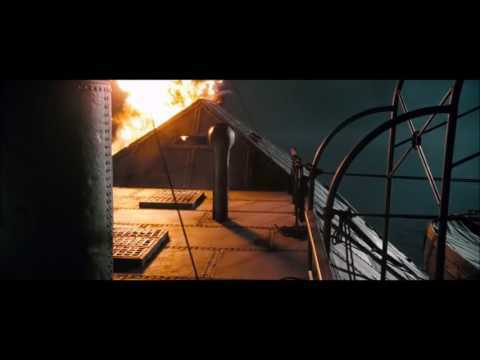 Not only that, but I also have plans for a naval battle mode featuring something along the lines of two-dozen different ironclad ships, each balanced in their own way. i would love to see that too but it might be a bit too controversial... Unfortunately...! The mayor problem would be how to portray the "I S I S"-side of this conflict without stigmatizing and upsetting an entire religious community. Or they could do like every other modern shooter based on that war and just make up a terror organization. Kinda like what CoD modern warfare did. They need to learn that it doesent target the entire muslim population, but ****. I would love to see battlefield on war against terrorism, against REAL ****, **** terrorists and that Afghanistan war against the terrorists, based on REAL events, battles and locations. Not some overused fictional ones. EDIT: I honestly dont know why they need to censor the terrorist organanizations names. EDIT 2: Oh, it got uncensored for some reason. Terrible idea, not gonna happen. Something that will work and will keep people happy is Cold War/Vietnam/USSR vs. America. Lots of events, modern weapons/vehicles, locations.